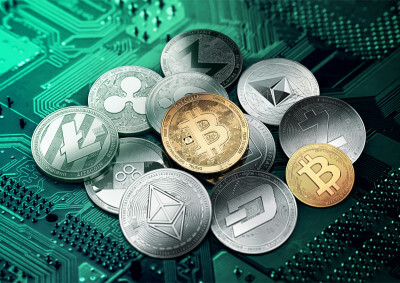 Many persons, institution, organization and Nations that once called cryptocurrency fraud and all type of names are gradually changing their mind to embrace it. The recent institution to do so now is the Dutch multinational financial provider, Rabobank. Just recently Rabobank warned that customers who trade bitcoins using their accounts were dealing with certain risks. Further, account holders who trade cryptocurrencies would be classified as “high risk” customers. “Bitcoins are considered to be risky products. Customers who trade in high-risk products can have a higher risk profile. It is conceivable that companies that deal with cryptocurrencies are seen as too risky and can therefore not be accepted as a customer,” Rabobank stated on February 2. What of Now? Rabobank has changed its mindset towards CryptoCurrency. “The idea of Rabobit is a cryptocurrency wallet within the online banking environment,” explains the Dutch bank . Other than Rabobank, other nations like Russia, Japan, Venezuela and many states in the America have shown love interest toward CryptoCurrency. Read Also: Exactly Same day last Month, Rabobank called Crypto high risk. But Building Wallet Today. Be wise! What does this show? It shows that gradually, those who hates CryptoCurrency can’t do so forever. This is because Like it or not, cryptocurrency is making its stay, breaking it’s boundaries and gradually winning hearts. Do you think people should still be afraid of investing in CryptoCurrency with this recent development? Drop your comments below. Previous articleExactly Same day last Month, Rabobank called Crypto high risk. But Building Wallet Today. Be wise!